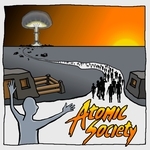 Atomic Society will launch on Steam on Monday the 15th of October. Enjoy reading about the latest progress on the game and the madness of making a game for Early Access here. Thanks to everybody who's supported us this far - you're all wonderful. Looking forward to seeing you on Monday.